In a family of people who celebrate spirituality and religion, I grew up to be an active devotee of Lord Shiva who would pray to him everyday unfailingly, and always be at the forefront during Mahashivratri celebrations. However, I experienced the true joy of being a shiva-bhakt during my expedition of this divine yatra, along with my parents and younger brother. 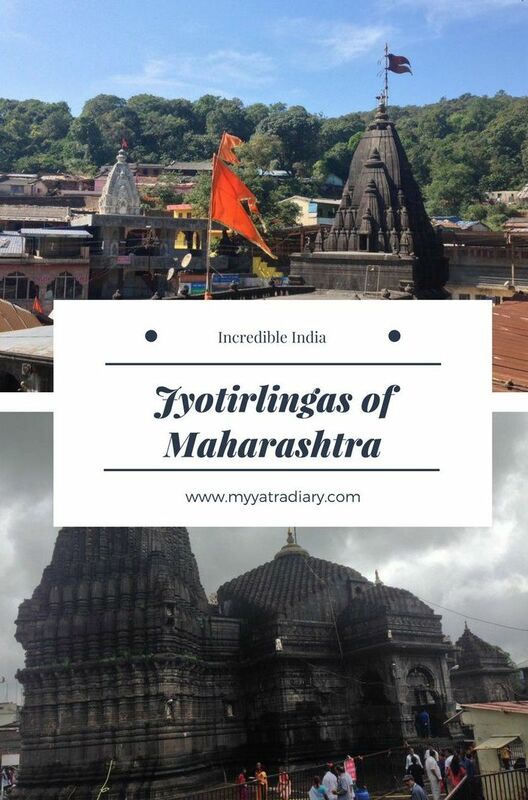 It was my first trip to the much revered Jyotirlingas in India, which are considered to be the holiest shrines of Shiva throughout the country, hence, I was naturally very excited ever since we landed in Nashik. From there we took a cab to our hotel and refreshed ourselves for the much awaited tour. 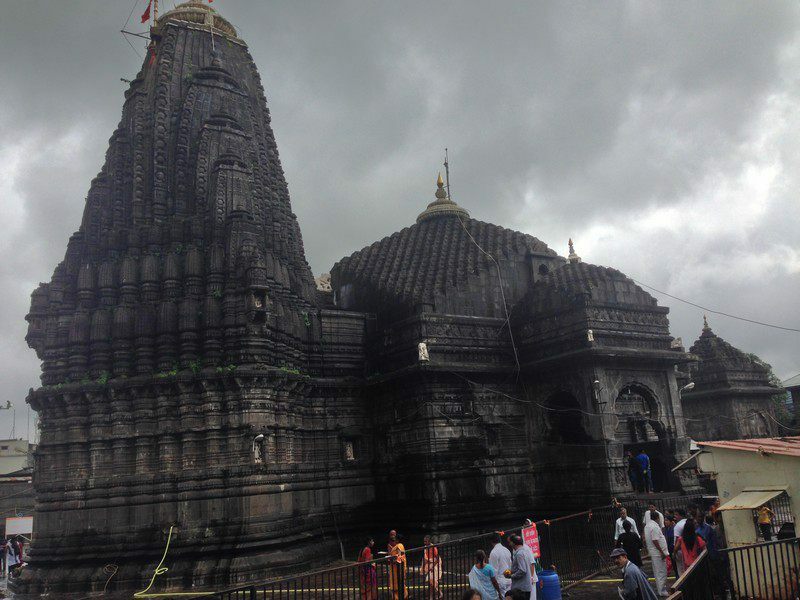 The first temple on our checklist was the majestic Trimbakeshwar Jyotirlinga. The temple was a beauty carved in black stone near the Brahmagiri mountain alongside river Gautami, around 30 kms. from the temple city of Nashik. We entered the temple along with flocks of devotees pouring in from all over India, with the cries of ‘Har Har Mahadev’ and the smiles of serenity. The temple priest told us that Lord Shiva resides here along with goddesses Parvati, Lakshmi and Saraswati. 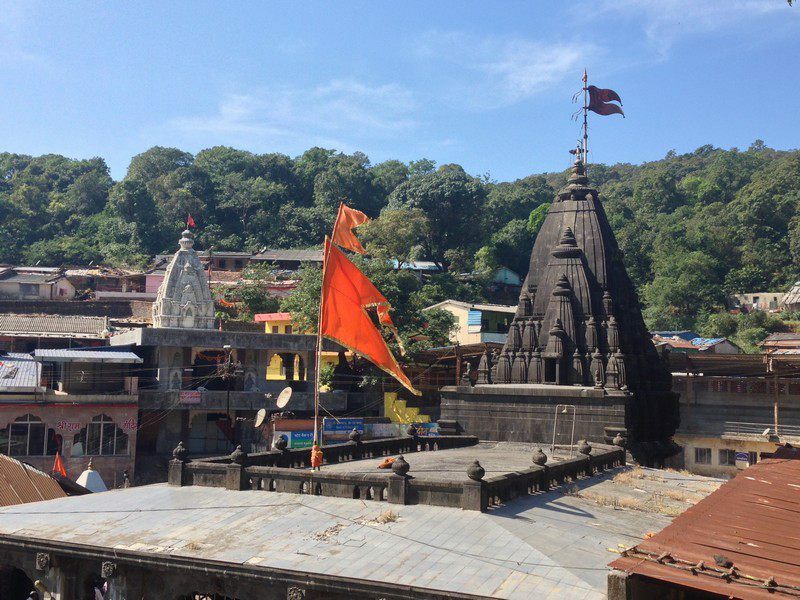 The next stop in our trip was the Bhimshankar Jyotirlinga on the banks of river Bhima in Pune, the road to which was through the mountain range of Sahyadri. Engulfed in natural beauty, the temple offered a treat to our senses, while a dip in the holy Bhima offered peace to our soul. Even the seemingly small task of purchasing the items required for making offerings to Shiva (in the form of ‘Ardhnareeshwara’) from the vendors perched outside the temple gave me unusual happiness. After that we went on to visit the Grishneshwar Jyotirlinga on the banks of an ancient pond called ‘Shivalay’ located at a village called Verul, which lies 20 km from Daulatabad, near Aurangabad in Maharashtra. I had read somewhere previously that unlike the rest of the 11 Jyotirlingas, the Lingam of Grishneshwar Temple is designed such that the water (after the Abhishekam) flows towards the east, and that day, witnessed it as well during the rituals of the temple. 4. AUNDHA NAGNATH JYOTIRLINGA, MAHARASHTRA. 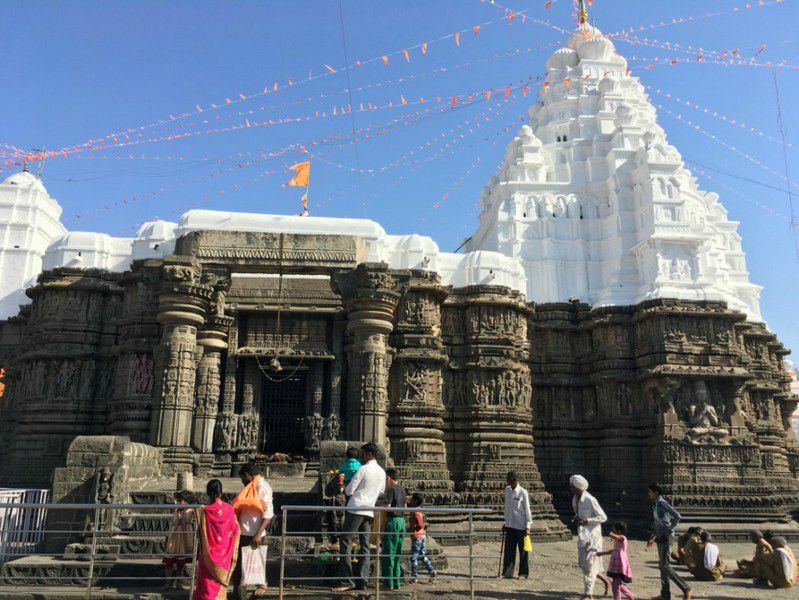 Then came our turn to visit the oldest Jyotirlinga, the Aundha Nagnath Temple, located in the Hingoli district of Maharashtra. This jyotirlinga is amazingly popular among Shiva devotees because of the belief that worshiping the deity can safeguard one against all poisons. However, the most interesting thing about the temple was the fact that the Sanctum of the temple is in the basement and we had to climb down to worship Lord Nagnath. 5. PARLI VAIJNATH JYOTIRLINGA, MAHARASHTRA. 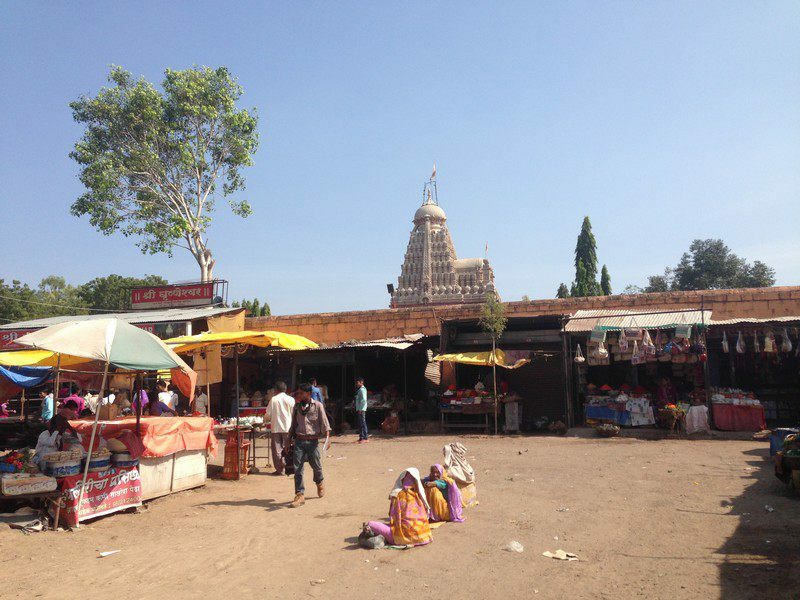 The last stop in our journey was the Parli Vaijnath Jyotirlinga, located in Beed district in Maharashtra, which draws its name from the fact that it is amid the bounty of medicinal plants. However, I felt as if the atmosphere healed my soul, which was weary from worldly worries, and also from the fact that I had to go back home after this breathtakingly beautiful trip during which I not only experienced the joys of travelling, but also the oneness with Shiva which I’d found nowhere else. I was surprised when I saw everyone touch the Lingam, because it is usually not allowed. But here, at Parli Vaijnath temple, where Lord Shiva is ‘Vaidyanath’, it is a belief that touching the Lingam helps in the process of healing. For the rest of my life, when I look back on these days, I’ll remember the wonderful memories that I made and the influx of positivity that I felt in the lap of nature, blanketed by sheer love for God which I will forever carry in my heart. Somnath Jyotirlinga, situated near Veraval in (Prabhas Kshetra) Kathiawad district. Nageshwar Jyotirlinga also known as Nagnath Temple located on the route between Dwarka and the Bet Dwarka Island on the coast of Saurashtra in Gujarat. Mallikarjuna Jyotirlinga, situated on the banks of the Krishna River, on the Shri Sailam Mountain in Andhra Pradesh. 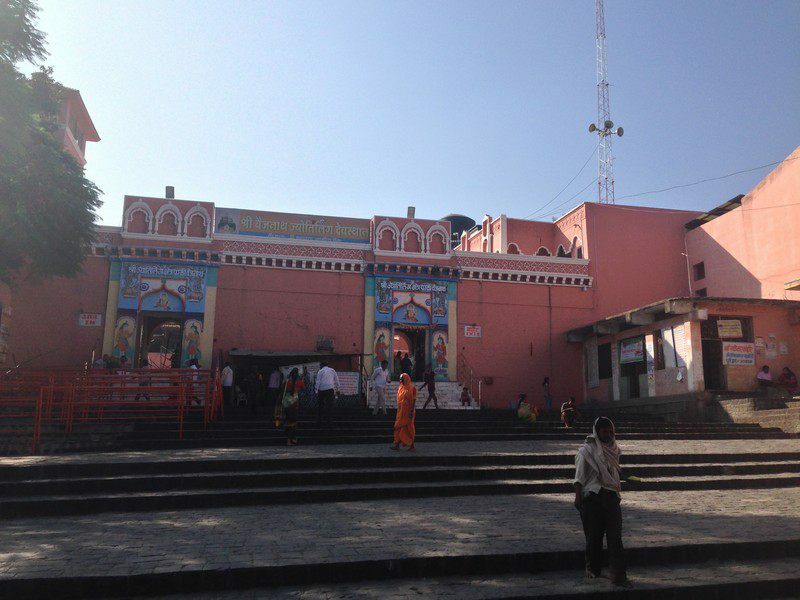 Mahakaleshwar Temple, located on the banks of the Kshipra River, in the Mahakal forest in Ujjain, Madhya Pradesh. Omkareshwar Jyotirlinga, located on the Mandhata or the Shivapuri island in the Narmada River in Madhya Pradesh. Vaidyanath Jyotirlinga, located at Deogarh in the Santal Parganas region of Jharkhand. Rameshwaram Jyotirlinga, located on the island of Rameshwaram, in the southern state of Tamil Nadu. Kedarnath Jyotirlinga located on the Rudra Himalayan Range at a staggering height of 12000 feet on a mountain named Kedar. Kashi Vishwanath located in one of the oldest cities of the world - Kashi or Banaras or Varanasi. About the Author: This article is written by Sasidhar Darla, the Founder at Myoksha Travels. He is very passionate about temples and traveled to almost all the major temples in India. He returned from US to develop spiritual tourism in India and make it easy for travelers to experience pilgrimage tours. Great to read about Jyotirlingas. Very informative post. yatra - travelling to the sacred places is an unseen journey of the soul sites within. Thanks for sharing the insights of your pilgrimages.